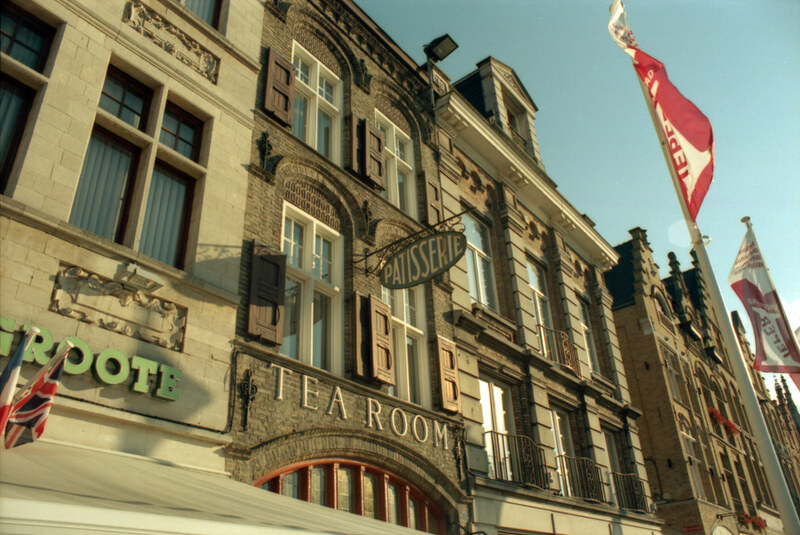 We woke on the second day of our trip with plans to take in the sun and sights of Ypres but we were greeted with rain as we left the hotel. Turning on our heels we headed for the car to tour some of the war cemeteries in the area instead. 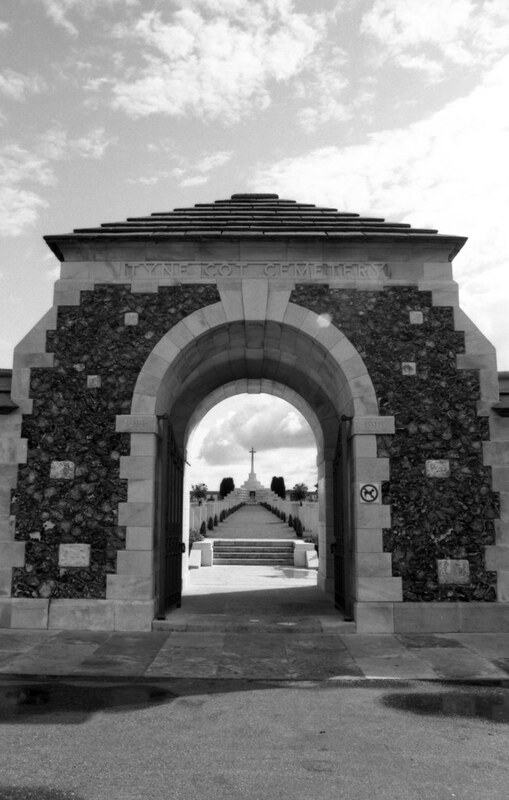 First stop was Tyne Cot, the largest Commonwealth cemetery of either World War holding 11,954 soldiers there, 8,367 of which are unidentified. The weather had changed for the better and we spent about an hour here, me taking photographs with the Pentax and my wife looking at the inscriptions of the marked graves...she's a bit of a wordsmith so it was interesting to have two views; one from a photographic point of view and one about the words used to remember the soldiers. 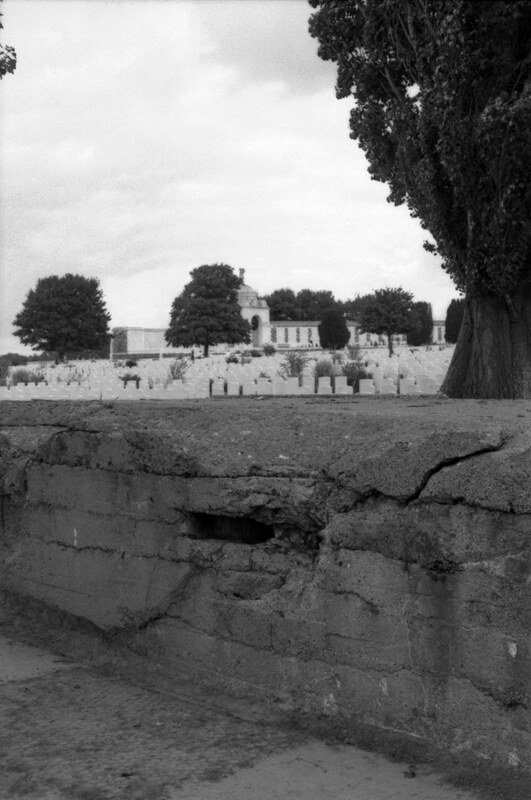 The pillboxes that the forces were fighting against still stand within the grounds of the cemetery. Apparently they were big enough to act as dressing stations for the bodies of the soldiers. I'd planned from the start that I would shoot black and white on the days we visited the cemeteries and memorials as it felt right given the tone of the places we were in. But, although I love black and white, it actually seemed unfair to be capturing them in monotones when in reality they were incredibly colourful and peaceful places to be. The second I hit the last frame of the Ilford Delta 100 I was straight into the bag for Kodak Ektar 100. Kodak Ektar 100 and I seem to be having a love affair - it never puts a foot wrong with me and I always get blown away by the colours. 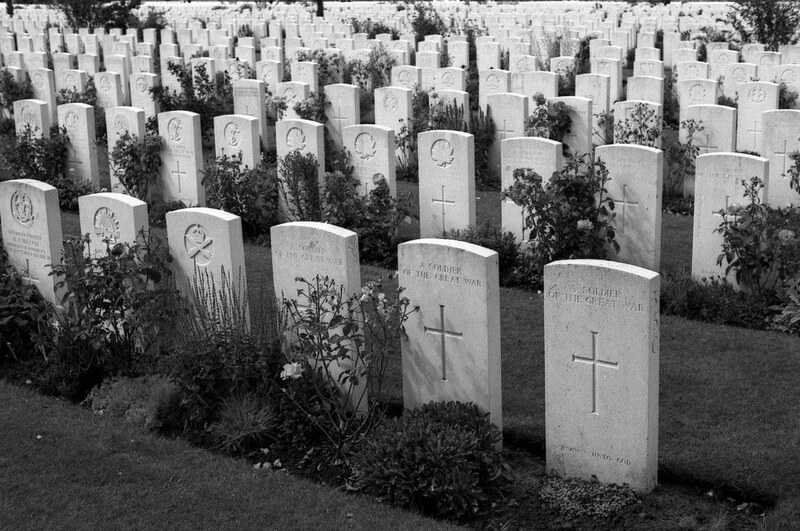 So, when I did see the results from the war cemeteries, I was more than happy how it had caught the mood. 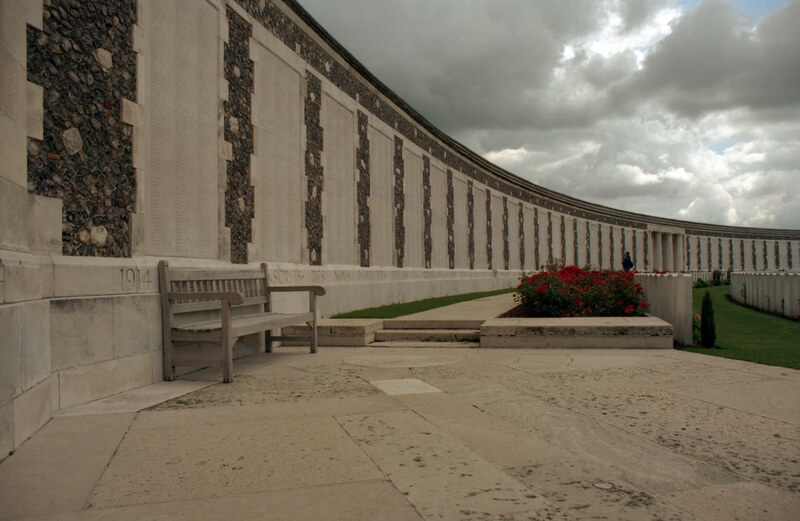 The back wall to Tyne Cot remembers 34,887 soldiers who were never found. 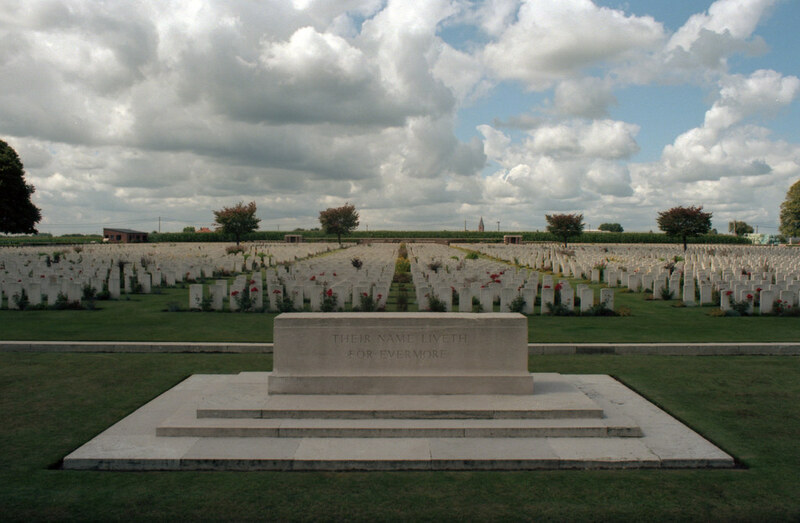 Poelkapelle British Cemetery which has 6,231 soldiers buries...90% of which are unidentified. 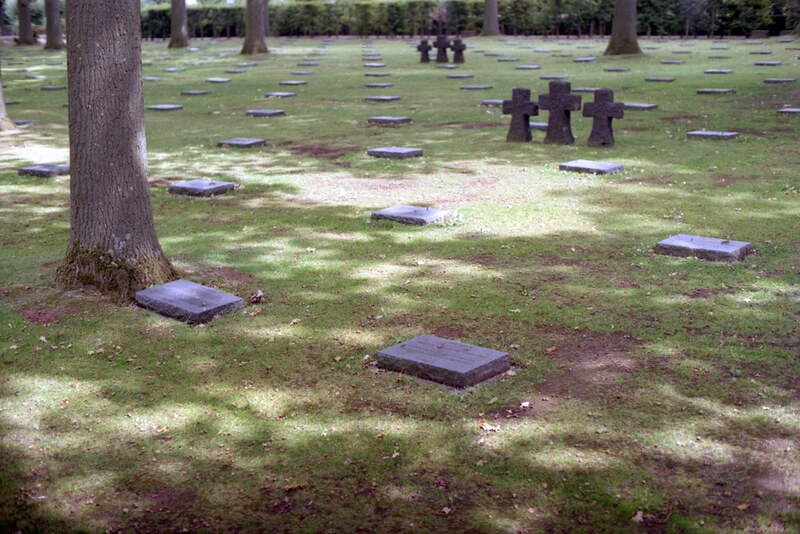 After seeing the last couple of Commonwealth cemeteries I was very keen to see a German cemetery. I felt you needed a comparison against the beauty of the ones we had seen already. 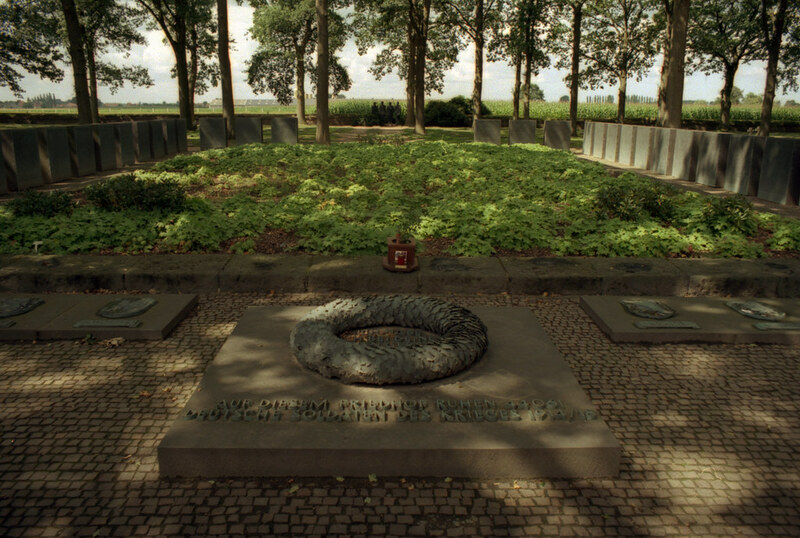 We headed for Langemark which had a very different vibe to it. 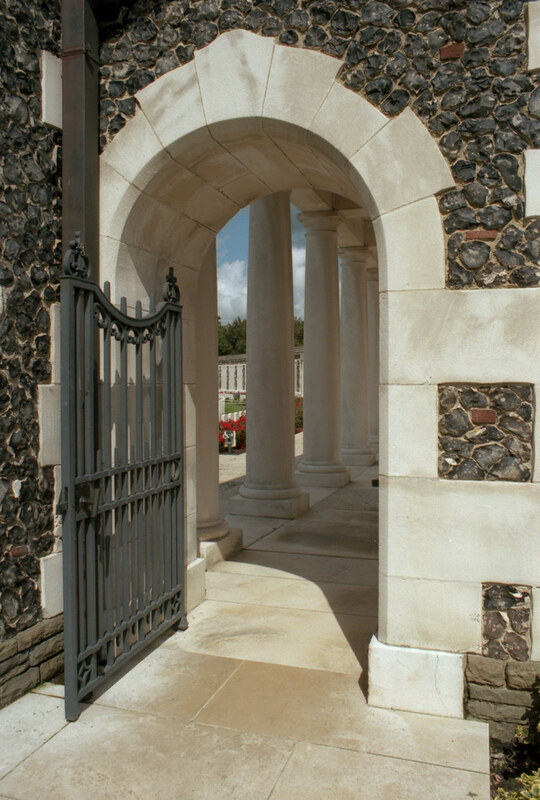 As you entered you were met with a mass grave with 24,917 student volunteer soldiers in it, their names remembered around the edge of the grave - 7,977 are unidentified. Outside of this the ground is covered in plaques on the ground, each plaque marks the grave of eight soldiers who were buried there. I noticed the heavy tree coverage of this one compared to the others as if it was hidden away. 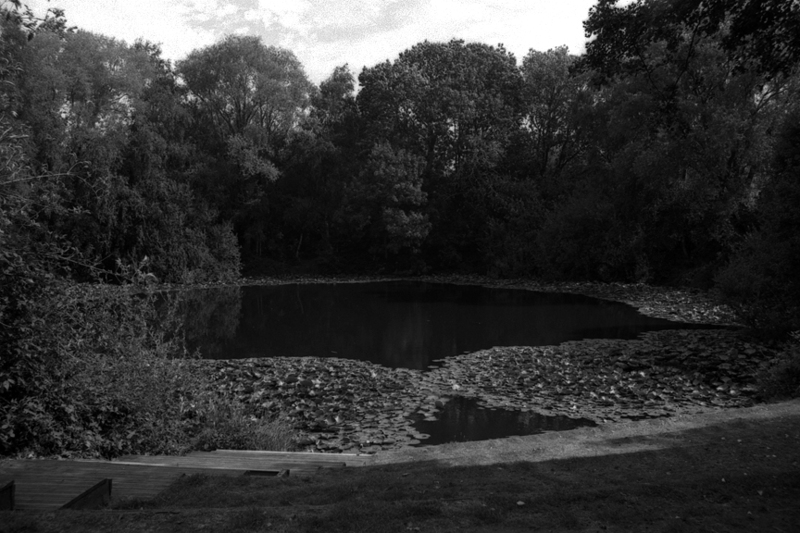 In away, black and white would have suited this place. Heading back to Ypres we stopped by Vancouver Corner; a memorial to the Canadian soldiers who fought in the area. 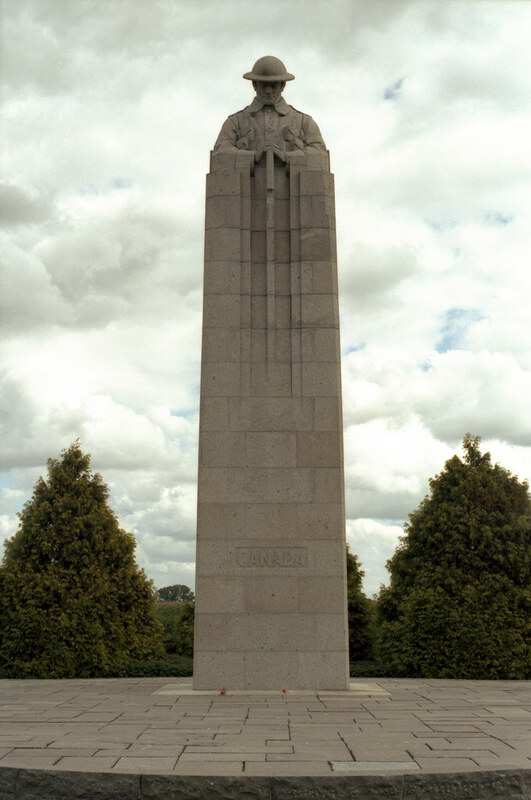 It was one of five Canadian memorials, the main one being in France. 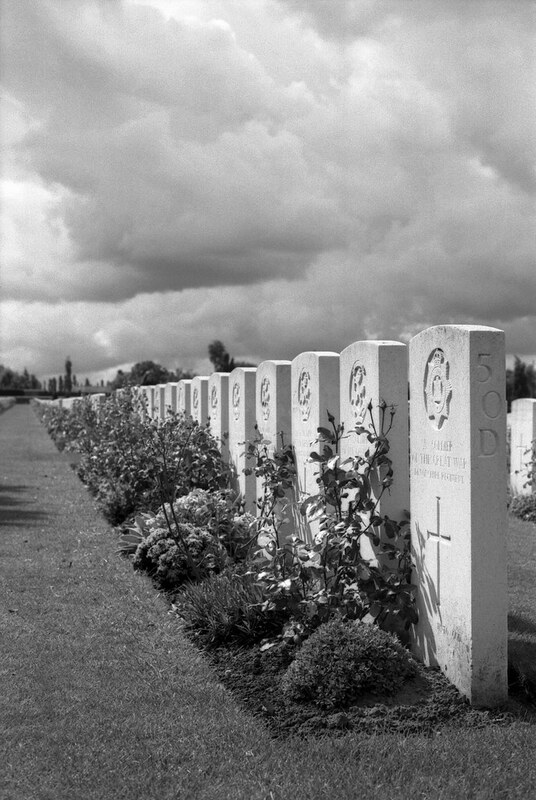 There was a competition to create memorials for the Canadians and "The Brooding Soldier" won second place but was my favourite for it's simplicity and mood. 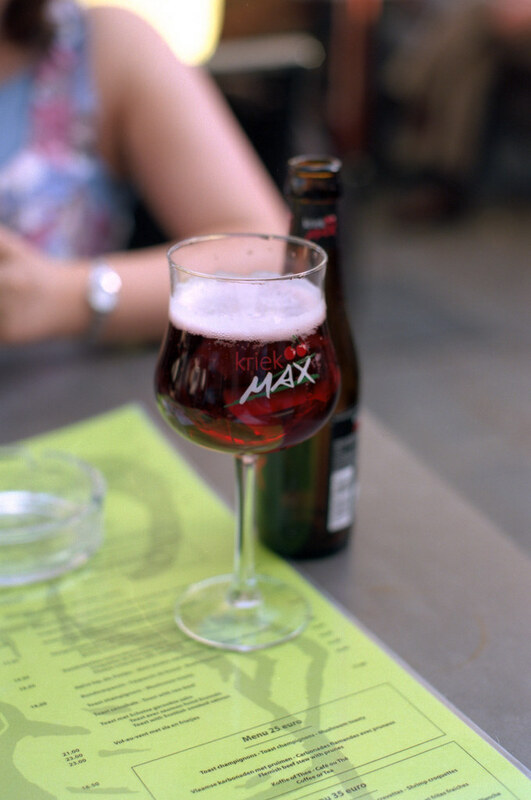 Back in Ypres I wanted to capture some of the town with the Kodak Ektar 100 and enjoy a beer. As the sun started to set, the colours of the town would come alive. It was an incredibly beautiful town, it was hard to believe it was reduced to ruins during the war. 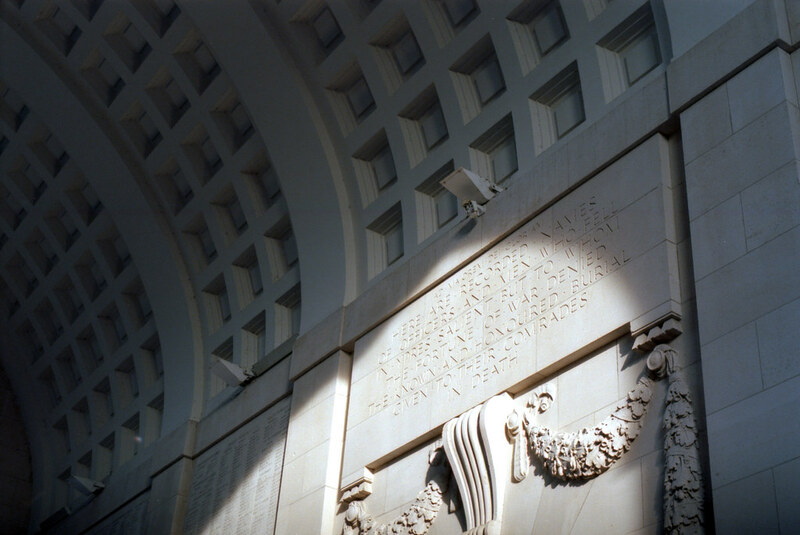 Before heading for dinner we decided to head to the Menin Gate for the Last Post. The Last Post has been played here every night since the 1920's when then the Menin Gate was built, except during German occupation in World War II - it was moved to England for that time. 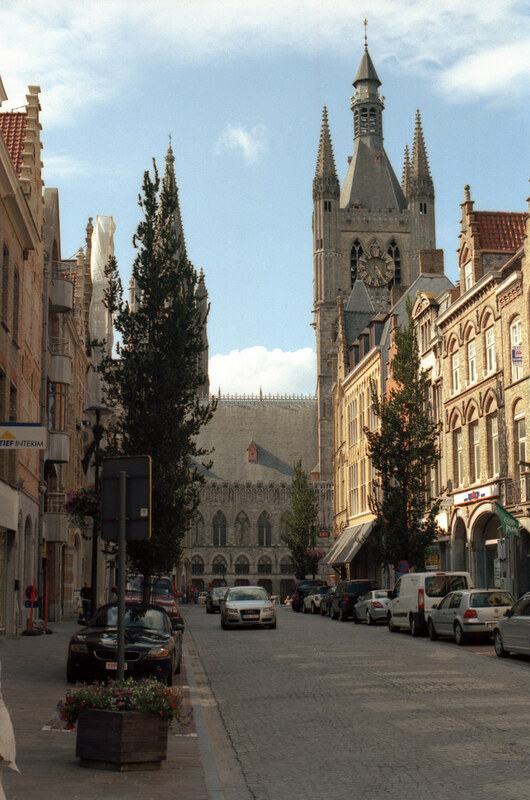 The road through Ypres was the road every soldier would have walked down to the front line so a large memorial spans the road with 54,389 names of missing soldiers inscribed on the walls. We arrived early and were trying to guess where to stand so I could get a good shot of the buglers. I took a few shots of the memorial as we waited and then the Last Post started.